Could the size and distribution of certain gum trees point to a new underground target for gold exploration? That’s the hypothesis Classic Minerals Limited (Classic) are investigating with our Mineral Resources experts in Perth, Western Australia. 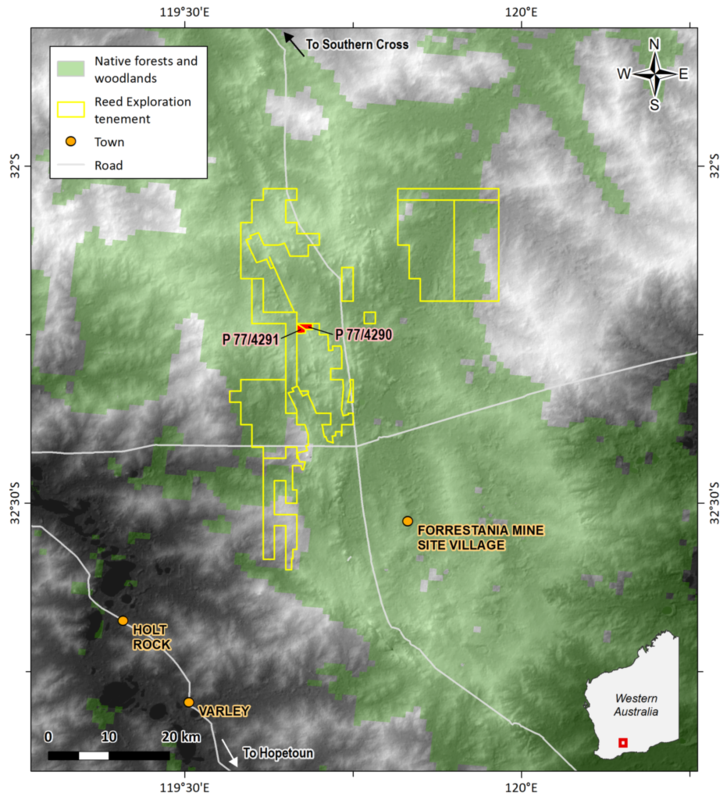 In 2017, Classic noticed what appeared to them to be a correlation between tree size and gold mineralisation at their Forrestania Gold Project (FGP) prospect in the Yilgarn region of Western Australia. They noted their major deposits and prospects – Lady Magdalene, Lady Ada, Stormbreaker and Lady Lila – supported large gum trees, whereas the surrounding areas were barren of large trees and covered by shrubs and bush typical in the Yilgarn. 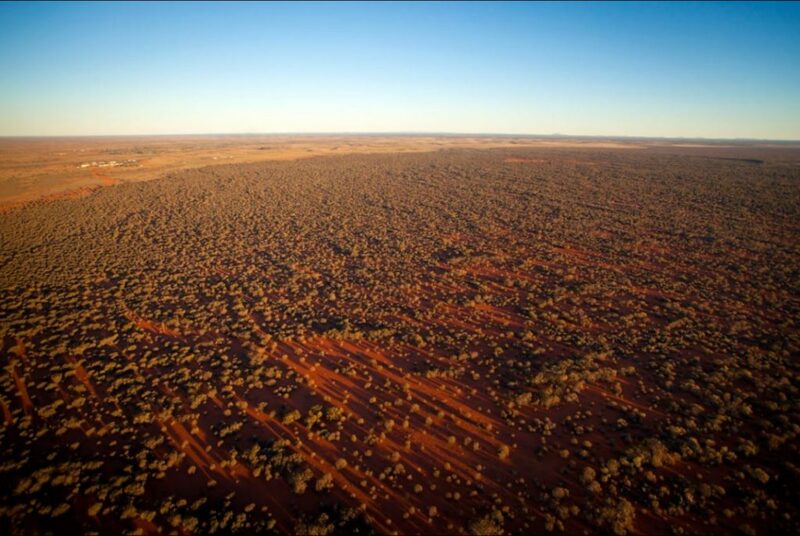 “It quickly became apparent from field work that there appears to be a relationship between tree size and mineralisation at FGP,” Classic CEO, Dean Goodwin said. Recognising our expertise in using surface and landscape features to identify exploration targets, Classic has entered into a 6 month research agreement to put their theory to the test. Our team leader, Dr Ignacio Gonzalez-Alvarez, said the concept of using features in the landscape, as well as composition of the soils and the distribution of plants and trees as clues to locate mineral deposits beneath the surface can be both a cost effective and less destructive way to search out areas of prospective value. Location of Classic Mineral’s tenements in Forrestania (WA). In red is the main tenement to be studied in this project; in green, the distribution of the forest in the region. “The landscape may record features that could link the surface with mineralisation at depth,” said Dr Gonzalez-Alvarez. Do large trees mark the spot? “At this stage we cannot know what, if any, relationship may exist between tree size and gold deposits in this location,” said Dr Gonzalez-Alvarez. Classic hope that knowledge gained from any possible relationship between the tree size distribution, the landscape, the geology and the mineralisation at depth which may exist at FGP will help them identify further exploration targets in their tenement faster without major ground disturbance. Australia is the world’s second-largest producer of gold, generating A$15.8 billion in revenue and employing 28,000 people at 71 major operations. To support this vitally important industry, we are working across the gold value chain, providing innovation and expertise in exploration, gold analysis and processing. Our golden innovations are creating new businesses for Australia. It is more likely the slope of the underground rock strata causes an increase of sub soil moisture in which the trees thrive. The slope may also be a contour that aggregates the gold. It might be a good idea to map out the local and regional faults, too, because the big trees may be getting their water supply from further down, using weaknesses along faults and joints. Just the same structure that may have brought fluids from deep below, depositing gold as veins. Given that Forrestania is on a greenstone belt you need to overlay the greenstone belt onto the map. Often trees prefer one type of rock over another (anyone who has been to Yass, NSW can see this very easily in the limestones there). Rather than trees showing ‘mineralization’ it could just be related to the type of rock below the topsoil.